It is no doubt that social media platforms nowadays play a big role in the growth of several businesses. Many marketers consider engaging in various social media platforms to attract and reach their ideal customers quickly. Aside from the very well-known Facebook and Twitter, Instagram is your next best choice if you want to market your business on a social media platform. In social media marketing, it is good to consider the number of audiences that you can reach. And Instagram has that quality, boasting with its more than 700 million users. Even though Instagram has a huge amount of audience, it will not automatically guarantee you a large affirmative impact in your business. In Instagram, you can use the ‘Instagram stories’ feature to get more customers. Since Instagram is one of the biggest social media platforms available, it provides your business a huge growth potential. But this potential is based on the activeness of the interaction in your Instagram rather than simply gaining a massive number of followers. Based on a 2015 study conducted by Iconosquare, the percentage of Instagram users who are searching for brands is about 70%. In this percentage, 62% of the users follow the Instagram profile of the brands. Another study, which is conducted by Forrester gives compelling statistics about the advantages given by Instagram in marketing. They compared several social media platforms and measured the percentage of their regular delightful engagement with their followers. Among the social media platforms, Instagram topped the list with a percentage of 4%, leaving Twitter and Facebook behind. Aside from that, the most important thing that Instagram can give you is the power to influence people with decisions in purchasing products and services without having the burden of thinking other difficult marketing tactics. But since several social media marketing trends arising, the use of Instagram would be a wise tactic to make an edge for your rival businesses. If you found the essence of Instagram for your brand, your next move should be formulating an effective marketing strategy. With this strategy, you should be able to convey your messages properly at your chosen audience. Successful social media marketing campaign using Instagram must have goals because this will keep you focused and motivated. These goals will define your strategies, and you won’t be able to formulate the perfect marketing strategy for your brand if you don’t have a goal. Since you defined your goal, you will be able to convey your messages to your ideal customers. Keep in mind that each brand has their own specific goals that outline their marketing strategies in Instagram. One of the most popular styles that marketers who engaged in social media platforms like Instagram use are by creating a small community. Because of this, their ideal buyers remain loyal and aware about their latest updates in their products and services. Aside from that, having a good Instagram profile for your business will give you the opportunity to display the values and culture of your company. Bio: This will contain the details about your brand and will represent your company to prospective clients who are visiting your Instagram profile. Profile Picture: Aside from the words, pictures are remarkable to viewers. Find an appropriate profile picture that makes you distinct from other business. Link: What makes Instagram more interesting is the fact that you can only add one link to your Instagram profile. Choose the link that will give the most benefit to your business. Instagram stories offer you the power to post something which will only be available within the next 24 hours. Make use of this feature to propose exclusive deals and offers to your prospective clients. Since your offer is only valid for a limited time, your customers will have a feeling of urgency which will lead to a wider exposure and greater sales for your products and services. And because of this, they will give close attention to your brand. You might also want to try leading your customers to engage in a conversation with you. To execute this, you can vouch for some effective tactics such as asking the winner of your deal or odder to send a direct message (DM). Eventually, this will aid you in keeping a good relationship with your customers. If you can’t capture your prospective clients with flowery words, then it’s time to shift your creativity to pictures. You can post multiple pictures in your Instagram stories without worrying about the number of posts that you have for the day. Aside from that, posting pictures also have the advantage of making your products and services more remarkable so that your customers will be able to remember them longer. To accomplish this step successfully, you may post some “on-site” pictures of your products and services. These may be raw or edited pictures. With this, you will be able to provide some sneak peaks about your products and services which can touch the curiosity of your prospective customers. In this step, make sure that you will be able to flaunt the strengths of your products and services with creativity. Show your clients how capable and unique your products and services are through pictures. Be consistent with your Instagram style and sharing it to several marketing channels. Organize visual elements in a way that it will align with the condition of the creative design and will be distinctive from the topic covered. Give enough rest space in the pictures by using backgrounds that have a solid color, additional space and focus on the subject of the picture. Choose the right palette by considering the perfect combination that will make your Instagram stories consistent. Use eye-friendly fonts in adding text in your pictures. Consider mainstream fonts to please and catch the attention of the readers. Add some filter, hashtags, and caption, but never overdo it. To further enhance your marketing using Instagram stories, think of some things that will improve the thrill in your picture. This way, you will be more unique and be a better marketer of your brand. To engage your customers with your Instagram account or using Instagram stories, you should be consistent with your updates. As this will serve as the basis of your customers when waiting for a new update from your brand. It is a vital point that marketers should remember whenever they take part in social media marketing to retain the top spot in your field. Also, this will maximize your interaction with the ideal and prospective customers. After this, you are already on your way to the success in the Instagram market. Base from research conducted by Union Metrics, several businesses in an Instagram post a median of 1.5 updates per day. Knowing this fact, you should observe the timing of distributing content. This may be the last step, but this is the point that if you missed, it would leave your business a massive impact (negative or affirmative). Whenever you pick an influencer in Instagram, you must consider several qualities and not just base it on their current popularity. Consider the similarities between your ideal buyers and influencer: You will never persuade your prospective clients to purchase your products and services if your influencer doesn’t even personally use your items. Instead, pick someone who has matching characters and qualities of your ideal buyers. Have a strong Instagram profile: To attract prospective customers, your influencer must reach a huge number of people. To simplify this, how do you think your business will get exposure if only a few people can see your ads? Brand and content must be compatible with each other: Whenever you or your influencer posts something, it must have an essential relation to your products and services. If not, then you are not truly endorsing your business. Rather, you are simply posting an event that accidentally captured your product or service. A role model and responsible: Always remember that your influencer will be the image of your brand. Every post that they share will also reflect on your business. Get someone who knows how to protect and boost your company’s image. Also, observe if they use proper tagging that is needed to optimize your content. With all the qualities that Instagram possess, it makes it a good place to market a business. Specifically, the feature of “Instagram Stories” gives marketers the space to post frequently and give special offers. Given all its affirmative qualities, Instagram will contradict your expectation if utilized improperly. 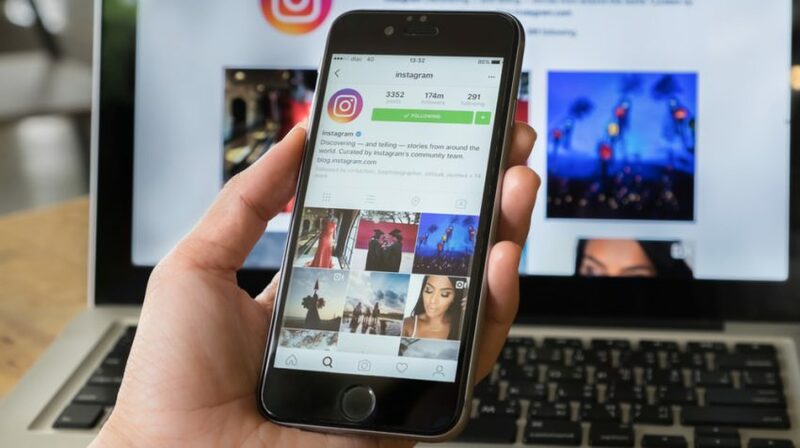 Just like any other marketing medium, you need to create strategies and a reputable profile on Instagram to be successful. Consider the steps mentioned in this article, and it will guarantee you an effective boost in the growth of your business.